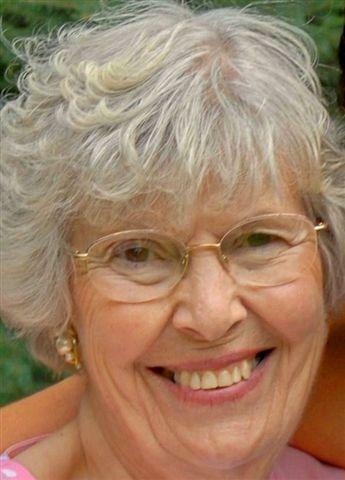 JOHNSTON- It is with sadness that the family announces the passing of Marjorie Freda Johnston. She passed peacefully on Friday, July 30, 2010 at the Shellbrook Union Hospital surrounded by her family. Marjorie was born July 4, 1931 in Nipawin. She lived throughout Saskatchewan because her father worked for the CPR. She met Robert Johnston in Asquith, and they were married on June 19, 1954. They lived in Prince Albert for 25 years, and moved to Regina upon retirement. Their later years were spent at Emerald Lake and Shellbrook. As well as raising three daughters, Marjorie donated much of her time to many charitable associations such as the Cosmo Pals, YWCA, and the Shellbrook Hospital Association. Marjorie is survived by her three daughters, Valerie (Brian) Jackson of Martensville, Karen (Bob) Lane of LaRonge, Wendy (Doug) Davidson of Fort St. John, BC; her grandchildren, Joel (Shanna) Jackson of Regina, Andrea Jackson (Jon Bogard) of Nipawin, Kim (Devin) Buckert of Regina, Craig (Kristi) Lane of Calgary, Eric (Ruth) Lane of Grand Coulee, Alysha Davidson of Vancouver, Kyle Davidson of Fort St. John BC; nine great grandchildren; her sisters-in-law, Wilda Minty of Saskatoon, Marg Pace of Victoria; her brother-in-law, Art McLead of Victoria; many nieces and nephews. She was predeceased by her husband, Robert Johnston; two sons, Lorne and Wayne Johnston; her brothers, Clyde, Jack, and Murdock Pace; her sister, Audrey McLeod. The funeral service will be held at Knox United Church in Shellbrook on Wednesday, August 4 at 11:00 AM. Memorial donations may be made to the Canadian Cancer Society, or the Shellbrook and Districts Health Services Project. Condolences e-mailed to www.beaulacfuneralhome.com will be forwarded to the family. Beau"Lac' Funeral Home is entrusted with the funeral arrangements.